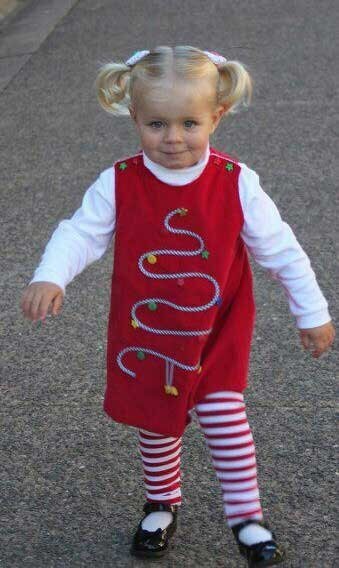 This is a darling jumper for your favorite little girl to wear this Christmas. Its made from red micro wale corduroy from Fabric Finders and lined with red polka dots on white. 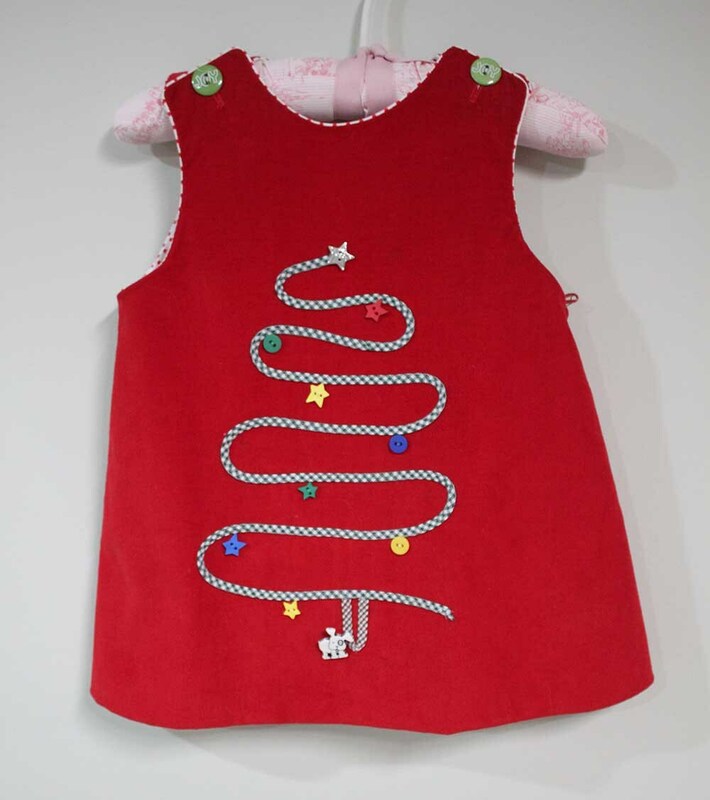 On the front is a stylized Christmas tree with button ornaments and a Cat or a Dog nestled under the tree. The jumper pictured is made from the Children's Corner Pattern Lucy but you could use any A-Line jumper pattern. THIS LISTING IF FOR THE KIT ONLY. Not for a finished jumper. If you would like the materials for the Stylized Christmas tree only ($8.00) or if you would like to add the pattern ( $11.00) please place a custom order and I will be happy to make it for you. Don't forget to pick the pet you want under your tree under options above.